Middlesex philosophy closure. Part of a wider struggle. 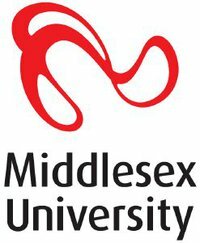 Many have already rightly spoken in outrage that Middlesex’s renowned philosophy department is to be closed. The department is the home of our finest hub of continental philosophy and political theory in the UK. During the recent Haiti quake, Professor Peter Hallward was the number one commentator from a critical perspective in the news, reminding the viewers of both the history of U.S. intervention and disempowerment of the people by multinational agencies such as the UN. Hallward also almost single-handedly introduced the philosophy of Alain Badiou to the English speaking world. He is not alone; the department is full of interesting and enaged academics working on the cutting edge of critical thinking. The journal, Radical Philosophy, is edited mainly by academics in the department. The graduate students there are often highly influential in the political activites of the left in London. The closure is thus a clear blow—if it is allowed to happen—to the leftwing cause in Britain. At the same time, it is important for those upset by this news to place it in perspective. Whatever party wins at the coming election, there are going to be massive, and I mean massive, job losses and departmental closures across the country. We haven’t even began to feel the pinch yet. And those who will likely face the axe before any others are the experimental thinkers, critical theorists and Marxists. Alongside creating a greater army of reserve labour and probably rehiring staff a few years on with sessional contracts that, obviously, pay much lower wages, it is inevitable that universities will also use this process to purge the troublesome amongst their midst. There are already plans for a campaign to prevent the closure. A Facebook group has swollen almost overnight to thousands of members, and the first rally is planned for tomorrow. There are two things I would like to add immediately though as a contribution to these efforts. Firstly, the prevention of the closure should not be framed in the limited language of managerialism and educational bureacracy. This can be helpful for pointing out hypocricy, but does not help align the cause with a wider struggle in which RAE scores and such like will be used as criteria for the shutting down of the vast majority of other departments. Preventing this closure needs to be done in such a way that it can found solidarity across the educational sector; and bring with it the possibility of a more transformative agenda too. Dean of the School of Arts and Education is on record as advising that companies have input into university curriculums, and that student projects should deal with issues currently facing real businesses. Of course, none of this implies that said companies will actually pay students’ fees, reimburse them for their research during their studies, or guarantee a job. As such, the encroachment of this kind of thinking into academia should be a prominent part of the struggle to prevent the closures. I wanted to just say I agree with you that this is part of a wider struggle, but also wanted to add that I think that universities like Middlesex providing philosophy programmes is part of a recognition that students from working class backgrounds can have access to philosophy and can think. At a time when the counter-revolutionary tropes of the working class as ‘canailles’ are recirculating in new malignant forms (‘chav’), the work of Middlesex is part of this kind of struggle. Coming from a working class background and now being an academic I think this kind of possibility is being cynically and systematically closed. Certainly you’re right this is part of a struggle, and a continuation of neoliberal ‘shock doctrine, and I agree we need to make this resonance clear and to avoid anti-intellectualism and elitism. To quote Ranciere ‘everyone thinks’, and philosophy can and should be a place to make this evident, when all too often it has been a place to attack and diminish the working class, and all those ‘marginal’ to the usual power structures.